Home » Elections » Elections: How to find your polling booth? 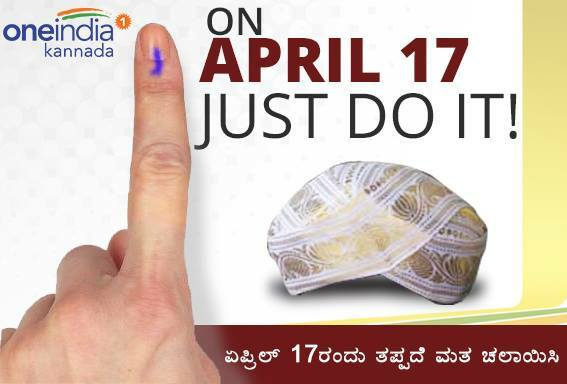 April 17, 2014 is the “exam” date for politicians in Karnataka – the General Elections will go to polls across Karnataka in one single phase. Earlier political parties were going door to door to help the voters identify their polling booth. Things are changing now, for the better. The Election Commission of India (ECI) has decided to provide voter identity slips at their doorstep on the eve of polling day for the forthcoming elections, specifying the polling booth. Another advantage of the voter ID slips is that voters can also use it as an alternative to the Elector’s Photo Identify Card to exercise their franchise. Election Commission of India has said the voter ID slips are being given as few political parties taking away the EPICs of voters who were unlikely to vote for them. Timings for casting your valuable vote: 7 am to 6 pm. Bank, Kissan and post office passbook with photographs pasted on them. Identity card issued by central or state government or PSU. Ration Card with Photograph issued up to 31-3-2013. SC/ST/OBC Certificates with photograph issued by competent authority on or before 31-3-2013. Pension Document with photograph such as ex-servicemen’s Pension Book/Pension Payment Order, ex-servicemen’s Widow/Dependent Certificates, Oldage Pension Order, Widow Pension Order with photograph (issued up to 31-3-2014). Freedom Fighter Identity Card with photograph. Arms License with photograph, issued on or before 31-3-2014. Certificate of Physical Handicap with photograph issued by competent authority on or before 31-3-2013. Ex-servicemen CSD Canteen card with photograph. Sandhya Suraksha Scheme Card with photograph issued upto 31-3-2014. Job Card with photograph issued under the National Rural Employment Guarantee Scheme (NMREGS) upto 31-3-2014. Yashaswini Card with photograph issued upto 31-3-2014. Senior Citizen Cards bearing photographs of the holder of the card, issued by the Government Department. Health Insurance Scheme smart card, with photograph (Minisrty of Labour Scheme), issued up to 31-3-2014. Smart Cards issued by RGI under the scheme if National Population Register (NPR).